One of the perks of branding an Organic food and beverage client is sampling the goods. 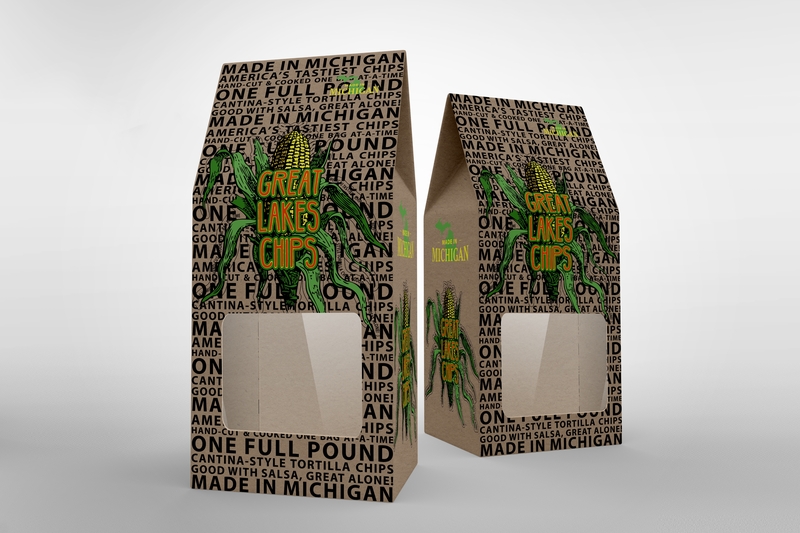 Great Lakes Chips are 100% Organic, Non-GMO, and made, by hand, in Michigan. Good with salsa, great alone! 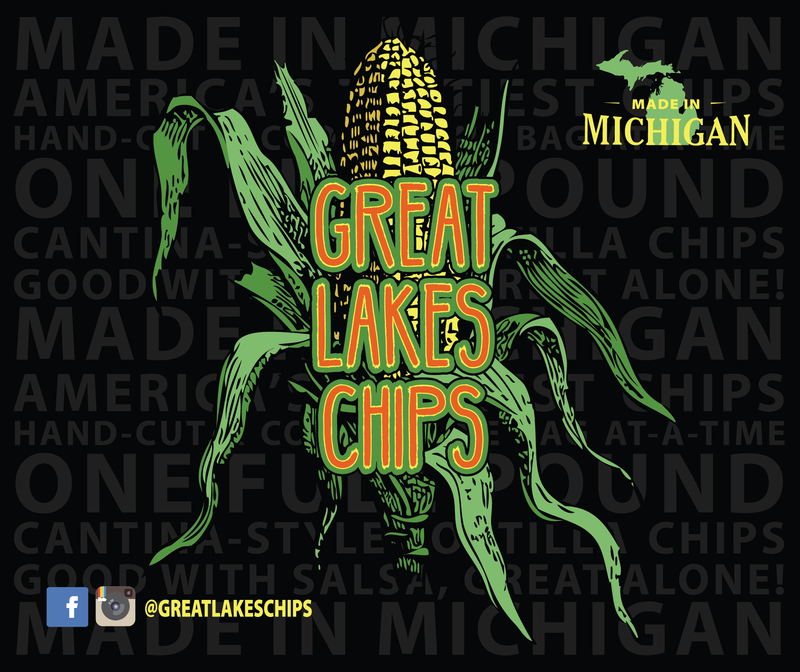 We set out to celebrate the brand’s commitment to putting MI first and shopping locally to create their rustic, small-batch chips. After several name changes and business adjustments, it just felt right to focus on the main ingredient– beautiful, heirloom, homegrown corn.